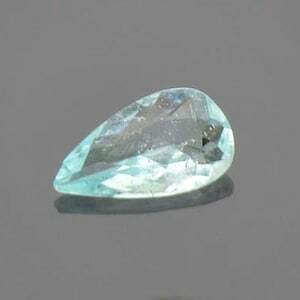 Splendid Mint Teal Green Tourmaline Gemstone from Maine 1.30 cts. 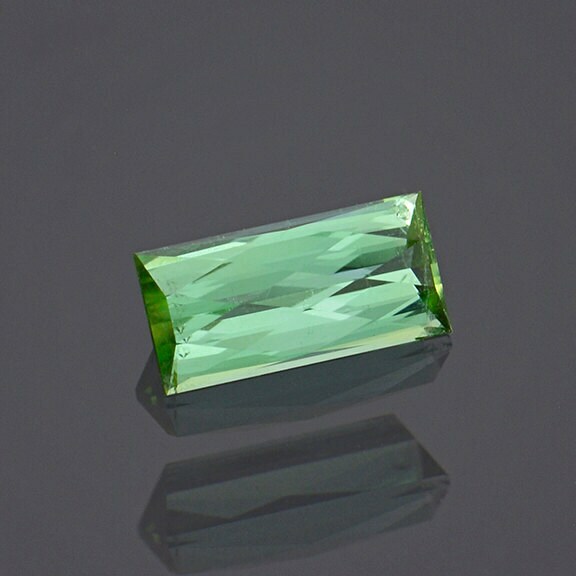 Maine at one time was the largest producer of Tourmaline in the country. 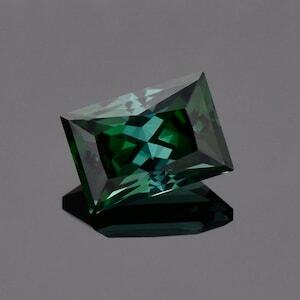 Still to this day, mines are producing world class gem Tourmaline. 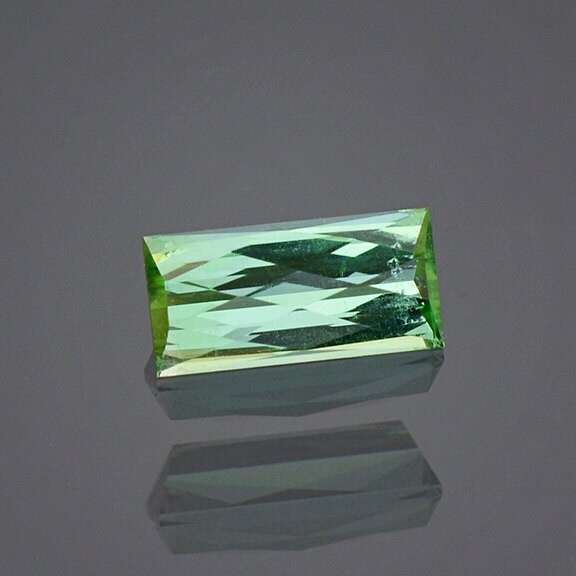 This material was mined 3 years ago at the Havey Mine just outside of Portland. 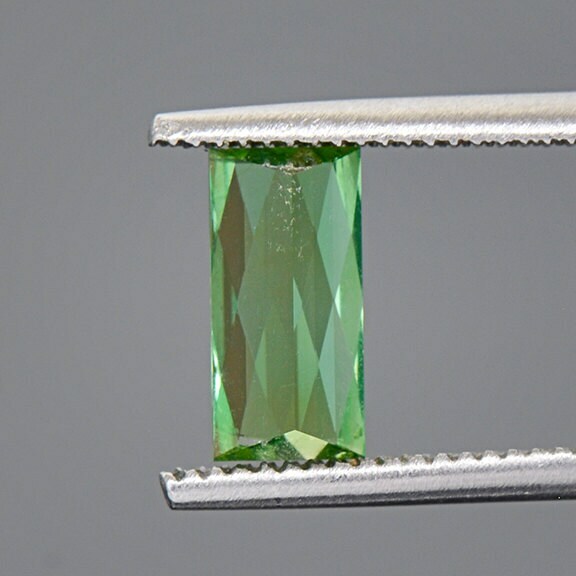 This mint green/teal material is one of the most desirable colors for Tourmaline and is primary color that the Havey Mine produces. 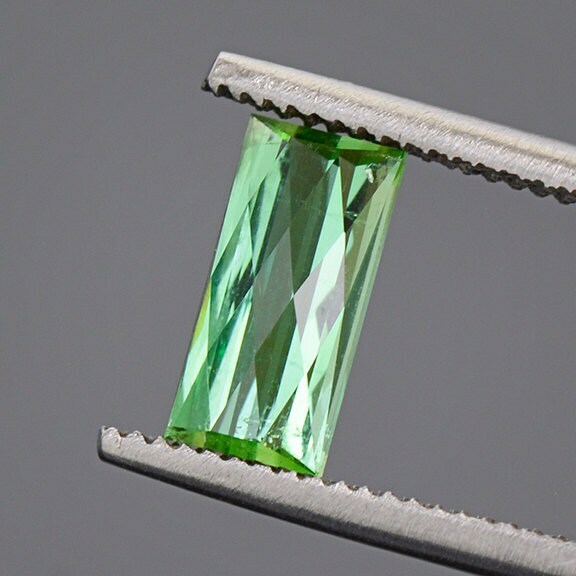 The clarity of this material is excellent and rivals all other tourmaline localities in the world. This checkerboard bar cut glitters beautifully and frames the color of this material beautifully. 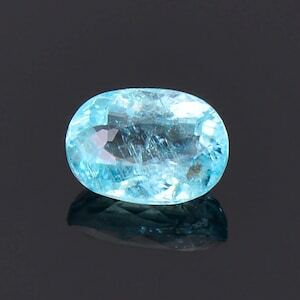 This stone will look lovely once set into jewelry, especially a pendant. 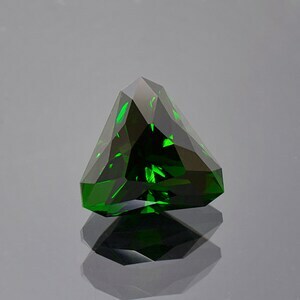 This stone was faceted by Allyce Kosnar of Kosnar Gem Co, during August 2016. Enjoy!